The other night, as I was waiting hopefully to see if I had been chosen as a peer editor for Hybrid Pedagogy, I dreamt that our final task was to collaborate on a design for a Hybrid Pedagogy cereal packet. Funny, haha, I thought and shared this with some fellow HPJ101 participants. 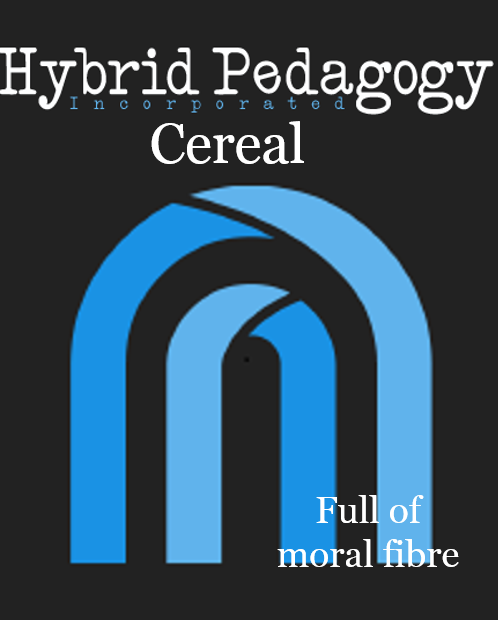 But today I started thinking – what if Hybrid Ped did do cereal? What would the packet look like? Maybe something like this? And what would the text on the back of the box say? Does anybody fancy remixing this and adding to it? 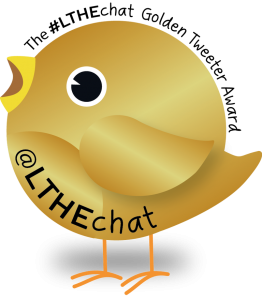 This entry was posted in Editing, Hybrid Pedagogy, Learning, Love, Writing and tagged #hpj101, editing, Hybrid Pedagogy. Bookmark the permalink. I love the moral fibre too! And the Lego avatar. How much does it cost? It’s FREE, of course. The world’s first Open Access, fully unpaywalled breakfast cereal.